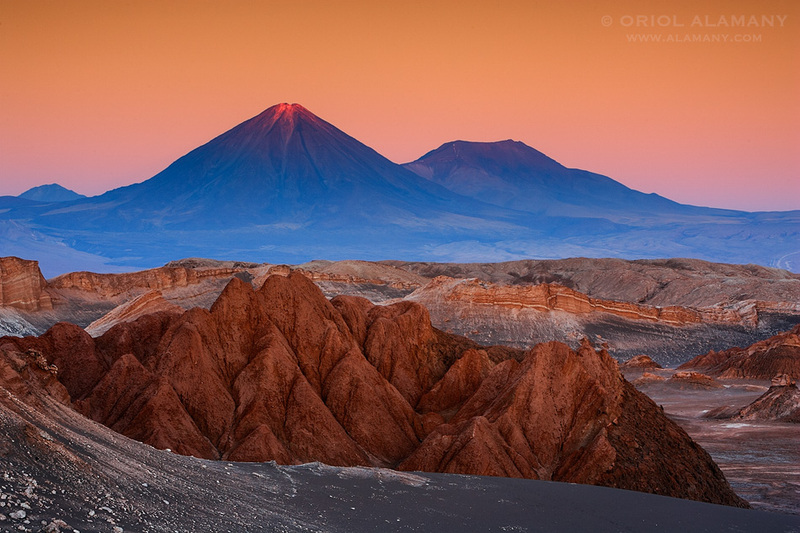 The last rays of the setting sun lit the top of the beautiful Licancabur volcano (5916 m), seen from the Valle de la Luna (Moon valley) in the arid Atacama desert. This was a place I wanted to visit and photograph since my youth. In 2004 it was my first big trip with a digital camera, already ten years ago. That afternoon I waited until the precise moment when the sun illuminated the top of the mountain, while the earth formations in the foreground were already immersed in the shade.